All business transactions are first recorded in Journal or Subsidiary Books. They are transferred to Ledger and balanced it. The main object of keeping the books of accounts is to ascertain the profit or loss of business and to assess the financial position of the business at the end of the year. The object is better served if the businessman first satisfies himself that the accounts written up during the year are correct or al least arithmetically accurate. When the transactions are recorded under double entry system, there is a credit for every debit, when on a/c is debited; another a/c is credited with equal amount. If a Statement is prepared with debit balances on one side and credit balances on the other side, the totals of the two sides will be equal. Such a Statement is called Trial Balance. Trial Balance can be defined as “a list of all balances standing in the Ledger Accounts and Cash Book of a concern at any given time. It is the shortest method of verifying the arithmetical accuracy of entries made in the Ledger. If the Trial balances agree, it is an indication that the Accounts are correctly written up; but it is not a conclusive proof. It helps to prepare the Trading A/c, Profit & Loss a/c and Balance Sheet. It presents to the businessman consolidated lists of all Ledger Balances. Second Method: This method is more widely used. In this method, Ledger accounts are balanced. When a trader sells on credit basis, The Buyer’s Account in the Ledger is debited. For each buyer, here is one Ledger a/c. Some of the buyer accounts may be automatically balanced. But it is quite natural that many of these Customer’s Accounts have a debit balances. When we bring these balances to the Trial Balance, if we are going to write all individual names of customers, then the Trial balance will be too lengthy. Therefore, first a list of Debtors with their individual debit balances are prepared and totaled. Instead of writing the individual names of Debtors, the total is written under the heading “Sundry Debtors” which appears in the Trial Balance. So far, we have discussed that how the business transactions are recorded in Journal and ledger and how to detect and rectify the errors and how to prepare Trial Balance. Is quire natural that the businessman is interested in knowing whether his business is running on profit or Loss and also the true financial position of his business. The main aim of Bookkeeping is to inform the Proprietor, about the business progress and the financial position at the right time and in the right way. 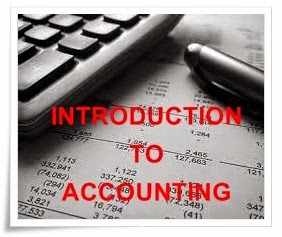 Preparation of Final accounts is highly possible only after the preparation of Trial Balance. Trading and Profit and Loss A/c is prepared to find out Profit or Loss. Balance Sheet is prepared to find out financial position a if concern. Trading and P&L A/c and Balance sheet are prepared at the end of the year or at end of the part. So it is called Final Account. Revenue account of trading concern is divided into two-part i.e. Thus the Gross Profit or Gross Loss is indicated in Trading Account. Items appearing in the Debit side of Trading Account. Opening Stock: Stock on hand at the commencement of the year or peiod is termed as the opening stock. Purchases: It indicates total purchases both cash and credit made during the year. Purchases Returns or Returns out words: Purchases Returns must be subtracted from the total purchases to get the net purchases. Net purchases will be shown in the trading account. Direct Expenses on Purchases: Some of the Direct Expenses are. Octroi Duty: Duty paid on goods for bringing them within municipal limits. Customs duty, dock dues, Clearing charges, Import duty etc. Packing charges: Such expenses are incurred with a view to put the goods in the Saleable Condition. Items appearing on the credit side of Trading Account. Sales: Total Sales (Including both cash and credit) made during the year. Closing stock: Generally, Closing stock does not apperar in the Trial Balance. It appears outside the Trial balance. It epresents the value of goods at the end of the trading period. The difference between the two sides of the Trading Account indicates either Gross Profit or Gross Loss. If the total on the credit side is more, the difference represents Gross Profit. On the other hand, if the total of the debit side is high, the difference represents Gross Loss. The Gross Profit or Gross Loss is transferred to Profit and Loss A/c. Trading A/c is a ledger account. Hence, no direct entries should be made in the trading account. Several items such as Purchases, Sales are first recorded in the journal and then posted to the ledger. The same accounts are closed by the transferring them to the trading account. Hence it is called as closing entries. Gross Profit ratio to Sales could also be easily ascertained. It helps to determine Price. Gross Profit ratio to direct Expenses could also be easily ascertained. And so, unnecessary expenses could be eliminated. Maintenance Expenses: Maintenance expenses of assets. It includes Repairs and Renewals, Depreciation etc. Financial Expenses: Interest Paid on loan , Discount allowed etc., are few examples for Financial Expenses. Item appearing on Credit side of Profit and Loss A/c. Gross Profit is appeared on the credit side of P & L. A/c. Also other gains and incomes of the business are shown on the credit side. Typical of such gains are items such as interest received,Rent received, Discounts earned, Commission earned. To know the liabilities of business. It shows accurate financial position of a firm. It is a gist of various transactions at a given period. It clearly indicates, whether the firm has sufficient assents to repay its liabilities. It shows the profit or Loss arrived through Profit & Loss A/c. The Balance sheet contains two parts i.e. Assets represent everything which a business owns and has money value. Assets are always shown as debit balance in the ledger. Assets are classified as follows. Fixed Assets: Assets which are durable in nature and used in business over and again are known as Fixed Assets. e.g. land and Building, Machinery, Trucks, etc. Floating Assets or Current Assets: Current Assets are i. Meant to be converted into cash, ii. Meant for resale, iii. Likely to undergo change e.g. Cash, Balance, stock,Sundry Debtors. 2. Intangible Assets: Assets which cannot be seen and has no fixed shape. E.g., goodwill,Patent. E.g. Preliminary expenses, Discount or creditors. All that the business owes to others are called Liabilities. It also includes Proprietor’s Capital. They are known as credit balances in ledger. Long Term Liabilities: Liabilities will be redeemed after a long period of time 10 to 15 years E.g. Capital, Long Term Loans. Current Liabilities: Liabilities, which are redeemed within a year, are called Current Liabilities or short-term liabilities E.g. Trade creditors, B/P, Bank Loan. Might become a liability in future on condition that the contemplated event occurs. E.g. Liability in respect of pending suit. 1. It shows the balances of all ledger accounts. 5. It shows the opening stock. 6. It has the headings, debit and credit. 1. It shows the balances of personal and real accounts only. 2. It is prepared after the completion of Trading and P&L A/c. 3. Its object is to reveal the financial position of the business. 4. But in the B/S, the items shown must be in order. 6. It has the heading of Assets and Liabilities. 2. _________ account enables the trader to find out the Net Profit or Loss. 3. Direct Expenses appears on ______ side of _________ account. 4. Indirect Expenses appears on _________ side of _____ account. 6. Salaries and wages appear on ________ account. 7. Trade Expenses will appear on __________ side of P & L A/c. Posted to _____________ account and office Expenses posted to _______ account. 9. __________ shows the Financial Position of a Trader. 4. Stock is a floating asset. This is really wonderful and easy to understand introduction buddy. You can also take help from the financial and accounting journals of Dr. Aloke Ghosh. He is really great and above all that he has published articles which are worth reading. Thank for ur comment and ur valuable advise.